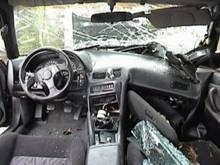 Unfortunately you have probably been in an accident or you would not have come to this page. If that is the case, we can help. Injuries often occur as a result of a car accident to the neck, mid back, lower back or other areas of the body. The force even if it seems slight can be magnified as a result of the mechanisms of direction, velocity and force and result in pain, stiffness and muscle spasm. It can even lead to disc related problems. This includes disc bulge/herniation that can lead to symptoms that include pain into the arms or legs, numbness, and tingling to the fingers or toes. 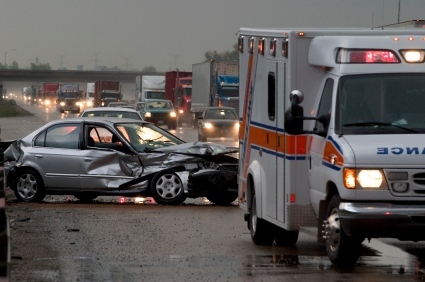 Auto accidents can present themselves in very different patterns. Sometimes you will hurt immediately after an accident, other times the symptoms can show up a few days to even a few weeks later. If after an accident you are experiencing symptoms or even if you aren’t, I would recommend that you come in for an evaluation to determine if anything was damaged and prevent the possibility of pain or other types of problems showing up in the future. The following symptoms felt after an auto related accident should be considered the direct result of the trauma, these include, neck pain, back pain, lower back pain, headache, any sort of extremity symptoms, including, numbness, tingling, or pain into the arms or legs. Even chest pain from the seat belt is possible. The neck and lower back are the most common injuries. A more severe accident in terms velocity can result in the disc’s of the spine being compromised, although this is rare it does sometimes occur. In this event an MRI can be ordered to determine the extent of the damage. Due to these types of problems we have a Spinal Decompression System to treat these types of syndromes as well. Our treatment includes a complete evaluation of your accident and injuries. I have over 27 years of experience with auto related injuries and I can answer all of your questions and guide you through the entire process. I have a complete therapy department as well as massage therapist on staff. Our treatment is gentle and comfortable and we can handle every aspect of your treatment, including the insurance paperwork, which is handled completely for you. In most cases you are entitled to complete recovery and compensation with no cost to you. If you need an attorney we can help with that as well. So don’t delay call us and make an appointment for a complimentary consultation and let us help you through this most unfortunate situation. I can’t speak highly enough of Dr. Mark Cafagna and his practice. I was involved in a major car accident several years before seeing him. By the time I did, I had tried physical therapy and seen another chiropractor. However, my two resulting disc herniations were so swollen that I couldn’t walk and I was losing feeling in my foot. Emotionally and mentally, I was a mess due to a lack of sleep. Dr. Mark’s de-compression table and Janette's masterful deep tissue massages essentially gave me my life back. Now, I can exercise again, work at the computer again for hours and walk away without pain, and SLEEP! I could go on and on about the entire staff but the bottom line is you have to try it for yourself to believe it. I waited a long time. I wouldn’t advise it. Thank you for helping me feel normal again Dr. Mark!